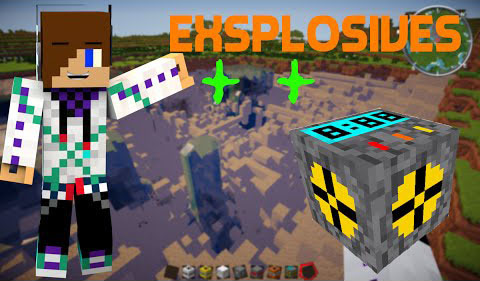 Have you ever wanted to jazz up your Minecraft, and make it more explosive? Like literally? 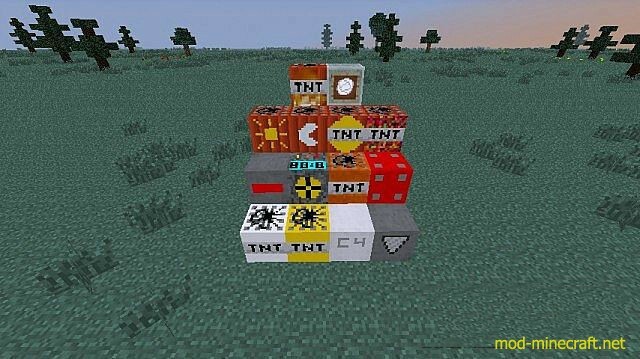 Are you a fan of Explosives+ / TooMuchTNT? But they were dissapointed because they weren’t being updated as frequently. Explosives Plus Plus Mod is for you. Explosives Plus Plus Mod delivers explosive functionality, while being easy to update and expand. Explosives Plus Plus Mod adds a bunch of explosives, and the collection will get bigger soon. The mod currently has 10 different TNTs plus 1 item that will only be used in crafting recipies. 1. TNT x5: Simple, just 5 times stronger than TNT. 3. C4 Explosive: Explodes instantly, half as strong as TNT, and not set off by nearby explosions. It is relatively cheap to make. 4. Drill TNT: Drills hole down to bedrock. There is no crafting recipe as of now. 5. Flat TNT: Blows up a large, relatively flat area around the origin. It is good for clearing out large underground areas. No crafting recipie as of now. 6. 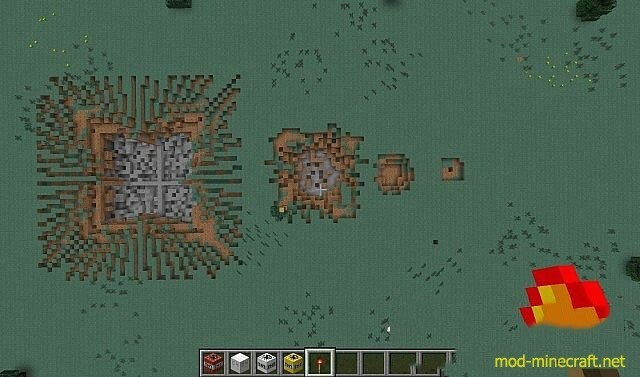 Nuke TNT: Blows up a huge-normous crater around the origin by far the most destructive. There is no crafting recipe as of now (sadly). 7. 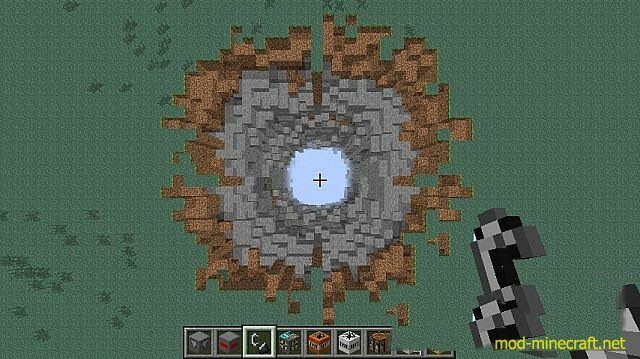 Meteor TNT: Makes a medium sized crater, surrounded by cracks going outward in the ground as well as on nearby structures. There is no crafting recipe as of now. 8. Detonator Chain TNT: Use to set off stuff from really far away. You can craft 8 from a 2×2 square of C4s. It explodes instantly when lit. 9. Day TNT: Sets it to day. It is great when being chased by zombies. 10. Night TNT: Sets it to night. It could be potentially used for trolling purposes. 11. Sphere TNT: Creates a huge sphere of air; doesn’t drop anything, however. 12. Derp TNT: Explodes somewhere in a 10 block radius. It has almost no practical use, therefore derpy. 13. 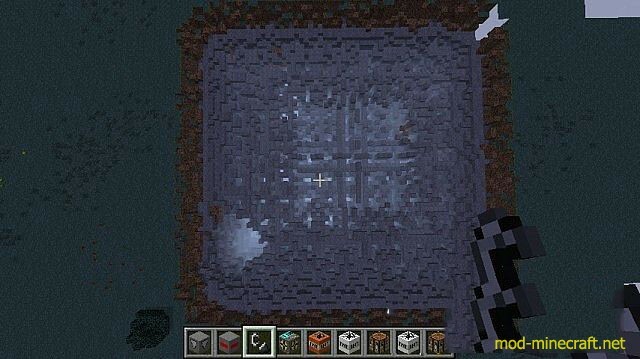 Incenditary TNT: Creates same size of crater as a TNT x5, except that it sprays fire everywhere. 1. Plastic: Used to make C4s, made from a 2×3 square of coal in a crafting table.